The main reason given for having no insurance, or inadequate insurance cover, is cost. But when your livelihood is a stake, can you afford not to be covered? There’s no one-size-fits-all insurance solution for small businesses. Before you purchase cover, you need to think about the potential risks you face and this will depend on the nature of your business. For a restaurant, food poisoning is one potential hazard. The theft of tools or injury to a passer-by could prove costly for a builder, while a claim of professional negligence could do financial and reputational damage to an IT consultant. If that consultant works from home and a client trips and breaks a leg on the stairs, they could face a large claim for damages. Most of the risks faced by small business fall into three broad categories: assets, income and liability. Common types of asset protection cover you for theft, loss or damage to buildings, contents, plant and equipment, motor vehicles and stock. You can also cover the loss or damage of goods in transit by rail, road, air and sea. While most businesses have some level of asset protection, risks to income are often overlooked. Say you run a café and it’s destroyed by fire, you will lose profit on goods you have purchased for sale. Or if you are a solicitor and your office is damaged by flood, you won’t lose stock but you do stand to lose revenue from the loss of business until you repair the damage or find alternative premises. Business interruption insurance covers you for loss of income and increased expenses if your premises or fixed assets are damaged. While online businesses may need to consider insuring against loss of income due to computer breakdown or cybercrime. Liability insurance covers risks to you, your employees or members of the public you deal with. Public liability insurance covers you for death or injury to third parties arising from your negligence and may be compulsory for some businesses. Product liability covers you for damage, injury or death to another person caused by the failure of a product, services or repairs you are selling. And if you are in the business of giving advice, professional indemnity protects you from legal action if someone suffers a loss after following your advice or receiving your service. There’s a lot to think about when you are starting a business or reviewing your operations, so it’s not surprising that a complex decision like insurance often ends up in the too-hard and too expensive basket. The amount you pay for insurance will vary according to the nature of your business, the risks it’s exposed to and the policy’s inclusions and exclusions. Most businesses opt for a business package that bundles different types of insurance together. This allows you to tailor your cover and is generally less expensive than buying policies separately. Business packages can be purchased direct from insurance companies without advice, or you can use an insurance broker who may be able to negotiate a better deal. 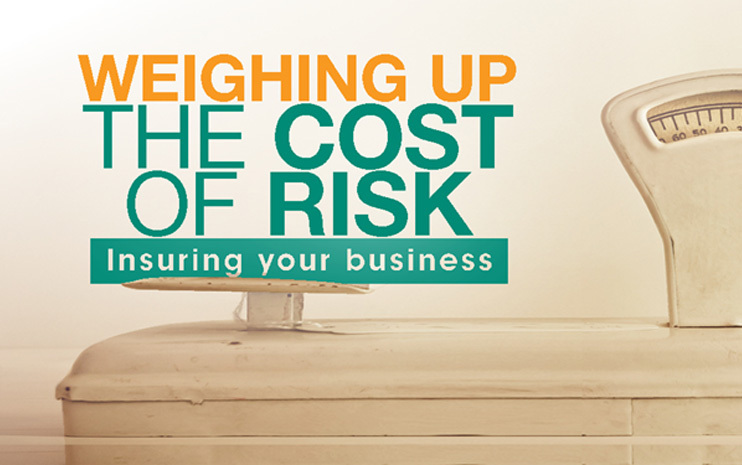 If you would like us to help you assess which risks your business is exposed to and how much cover you may need, give us a call. Previous Post Where is the best place to stash your cash?